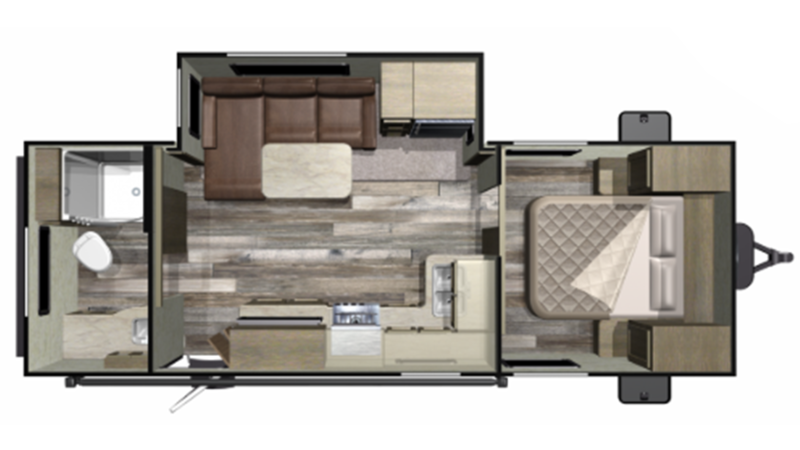 This New 2019 Starcraft Mossy Oak 21RBS is one incredible Travel Trailer! You can find this model for an exceptionally low price at RV World MI, one of the top Michigan RV dealers! If you're in or around Grand Rapids, visit us at 7834 S Division Grand Rapids Michigan 49548 to talk to one of our RV experts! Or, call us at 616-591-3632 for more information! After the sun goes down and it's time to turn in, you want to know you're going to get a good night's sleep when you're on the road. 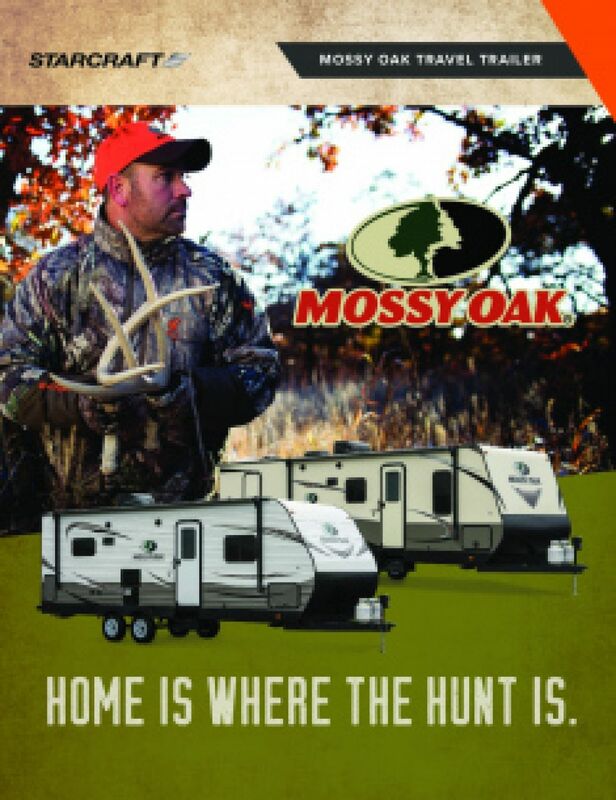 In the Starcraft Mossy Oak 21RBS, you're guaranteed of that, thanks to the handsome and roomy master bedroom! It has handsome furnishings for clothes and sundries, and the spacious Queen bed will let you ease off to dreamland in peace and privacy! With all of the sleeping accommodations throughout this camper, up to 4 people can find refuge at night in this RV! With this model's bathroom, you won't need to make a trip to the campground restroom! With 60 lbs. of LP tank capacity, you won't need to worry about running out of hot water! The bathroom also features a Foot Flush toilet, with used water and waste stored in the 32 gallon gray water tank and the 32 gallon black water tank, respectively!